My sister will get a big kick out of this: in the process of cooking out lately, I retrieved our bright red cafeteria-style cookout plates, which Nicole an I bought at Dillards in Lawton, Oklahoma, for Mom and Dad for Christmas in 1983. My point? Today I turn 52, so I am out of the woods. No heart attack for me! I know, I know. But consider this: I am more physically active than my parents by a factor of about a drillion, I eat healthier than my parents by a factor of about a grillion, and I have been under a doctor’s care with regard to my heart health for many years. I personally witnessed my wife have a heart attack, a pain which she described on a scale from 0 to 10 as “23,” so I am highly motivated to stay healthy. 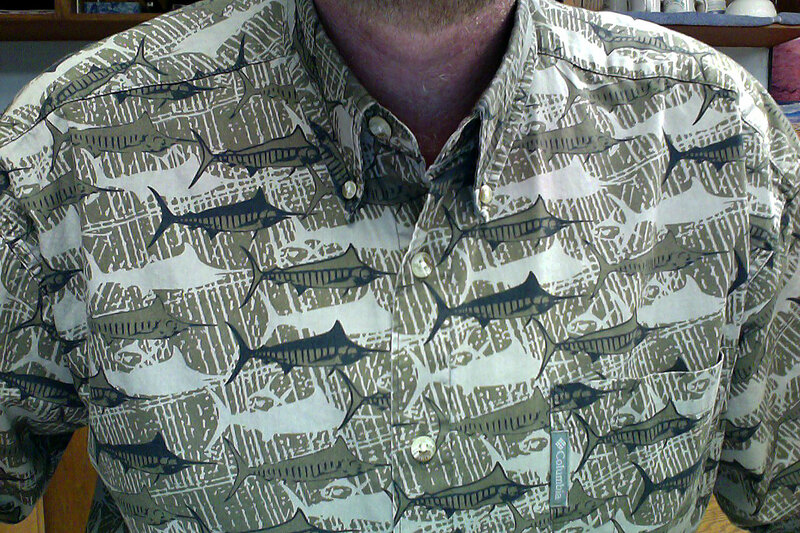 One thing I did to celebrate my birthday was to wear this swordfish shirt my parents gave me 20 years ago. Festive, no? 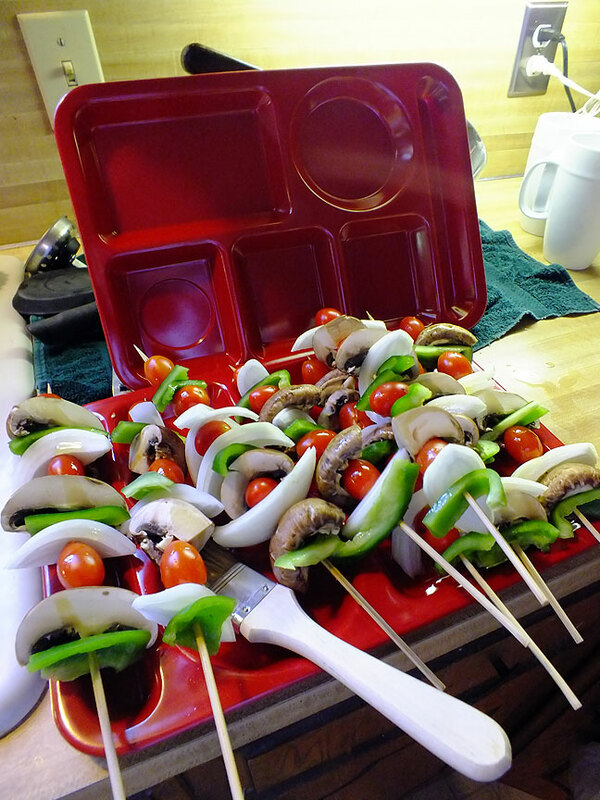 The cafeteria trays! Best gift we ever gave them. My take-away from mom’s first heart attack: if you feel like you’re having one, just lay down. You’ll be fine and won’t need to see a doctor….right? My friend Steve died last year at the age of 47 because he ignored his heart attack symptoms for several weeks. I’m glad your mom lived through it. Happy birthday. Congratulations on your continued survival and a darn nifty shirt! * As shirts go, that is one of the swordfishiest I’ve ever seen. * Did you parents teach many courses for the FAA? My Dad took several, in various cities. He might have been in one of them. Decidedly festive, Happy post B-day Man.